A master resource package that will be used for a series of farm, settlement, and village mods. Contains many pre-assembled modder resources, as well as many of my own custom made resources. which you can borrow and use as you see fit. Just give credit where due. have them in my projects first....since I took the time to make them...seems only fair. with permissions, you will need to contact the author(s) before using any of these as I cannot "pass on"
do my best to tell you where the item(s) originate from and who to contact for permission. LHammonds - the Readme Generator this file was based on. thanks to Bess for locating the source for me so I could give proper credits. 1. A collection of folders containing meshes, sound files, and textures. pre-assembled in the Oblivion Construction set. off of. There are at this time 12 mods currently in various stages of development using these resources. All future releases in the "Settlements of Cyrodiil" series will require this pack to be installed. every direction? Where does all the food come from to feed that population? have been granted permissions from the respective authors to overhaul and re-release these little gems. 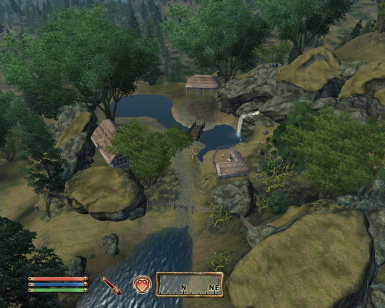 farms of Cyrodiil. Even with the many modders resources available, most farm mods retain a lot of the same characteristics. So I set about creating new models and retexturing a good many others to add more flavor. This in turn led to a few modding endeavors of my own which will eventually be released also. 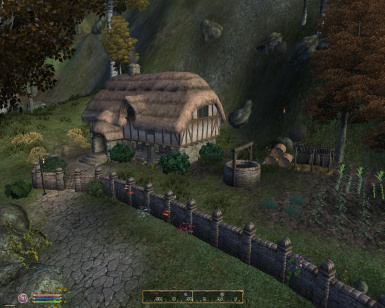 Settlements of Cyrodiil will be a series of modular releases which all utilize the same resource package. I felt this was the best approach for avoiding mod conflicts as a whole, implementing future upgrades, and giving the mod users freedom of choice as to which plugins they use or don't use. You won't have to have all the pieces if you don't like a particular plugin. That was something that bothered me about other village packs. At some point when this is much further along, I may do a merged file for those who wish to have everything. 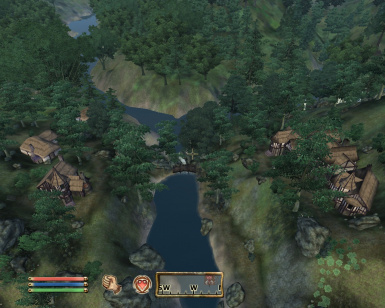 a) Relocate each of the settlements if necessary to eliminate mod conflicts, or at the very least minimize conflicts. 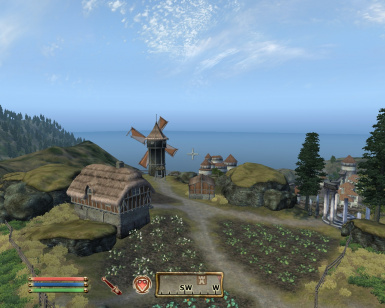 In some cases patches may just be unavoidable, there are a LOT of mods out there, and in some cases moving the settlements too far from the original locale would just spoil the original theme. b) Revamp each settlement to better fit into the chosen location, while maintaining as much of the original look and feel as possible. c) Tie up loose ends so to speak, fixing errors/glitches within the mods themselves. 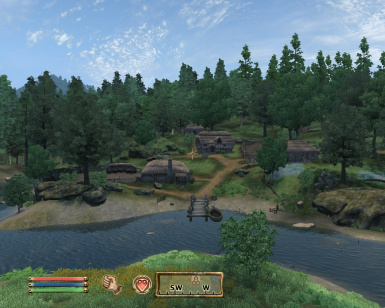 d) Incorporate some dialogue interaction between settlements to add more ambience. This will most likely be added into later updates once I am more comfortable with the techniques involved. e) Add in at the very least some simple quests to each one. Some of the rescue mods have basic quests, sadly most do not. Right now I'm still learning questmaking, so again would rather wait until I can get it right and avoid messy fixes. These will most likely be added in the form of updated esps. and have a few cattle which produce meat and milk. 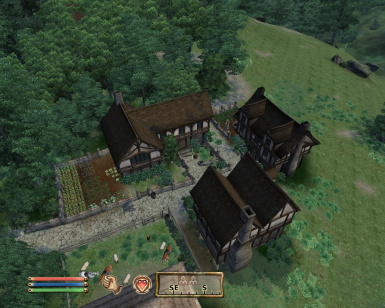 A pair of Legion outposts and working farms which were originally created by Poolacemail. custom armor, crops, and some services for travellers. One of my own creations...very first in fact...that has been overhauled and given a new lease on life. 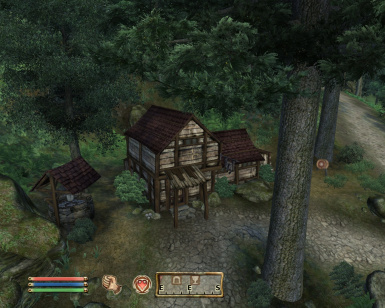 Located on the main road due east of Chorrol. This was my "on the job training" introduction to the CS. where the farmers sell the goods to passerby and a free bedroll in the goat pen. in the pond. 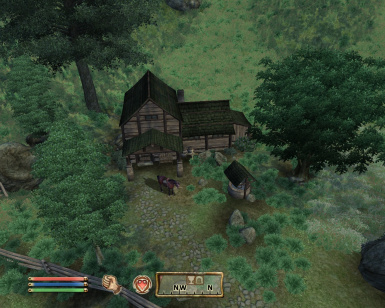 Services include a blacksmith with custom gear for sale, and an Inn. using regional vanilla materials, for the most part at least. I did have to customize some textures. taken aim at vanilla settlements. White Rose River eliminating all conflicts. Also originally by Poolacemail. 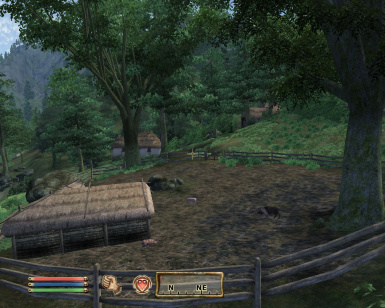 Also suffered from conflicts with other village mods. it blend in to the surroundings a little better. making individual settlements out of them and renaming. 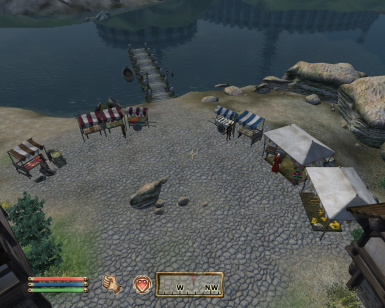 Still to do: Some interiors, some NPCs and AI, path grids, shop signs, sorting out incomplete quests. 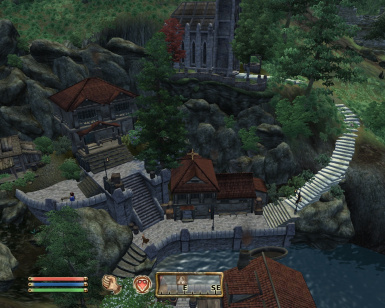 this was to create a village settlement using Chorrol style architecture with an open air market. Unfortunately never got past initial design stage, was abandoned by author and never completed. Still to do: Architecture, Landscaping, path grids are done. NPC's are created. Plenty to do still. 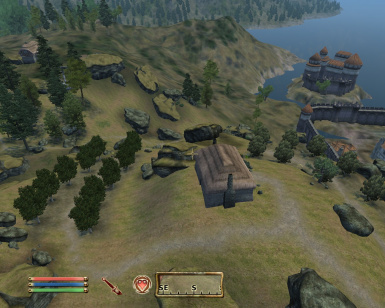 is now a fullscale village with several farms, crops, livestock, docks, fish and a number of NPCs. and it looks fantastic as an addition to this settlement. Still to do: NPC creation and ai packages mostly. Everything else is 85% or more complete. post more on this as the plan becomes more clear. from Settlements of Cyrodiil project list. Development has not stopped on these two. two titles under the Unique Landscapes banner. So I thought it best to separate them out. Also the associated resources will be culled out of the resource pack with the next update. Look for news about these two at the Unique Landscapes thread on Bethesda Forums. to manually un-install all of these files. 1. Launch OBMM and click "create"
3. Select "Settlements of Cyrodiil.7z" and click "open"
5. When asked to import conversion data click "yes"
click "ok". 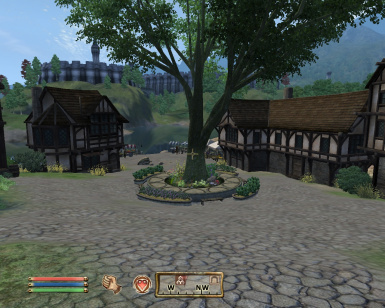 Then click on "Settlements of Cyrodiil Resource Pack" in OBMM and activate. If I have missed anyone it was not intentional. I made every effort to keep notes on where things were borrowed from.....but let's just say I wouldn't be a good secretary. Also some of the unfinished mods I'm including here didn't have resource credits in the read-me. If you recognize something that I haven't credited here, let me know and it will be corrected. If there is something used without permissions, again it was not intentional and I will remove anything that an author does not wish for me to use. I have tried to research every piece used in this package and give credits to the best of my knowledge.